Wasted is an innovative technology startup, attacking the rusty garbage collection business model with a democratizing approach and modern technology. 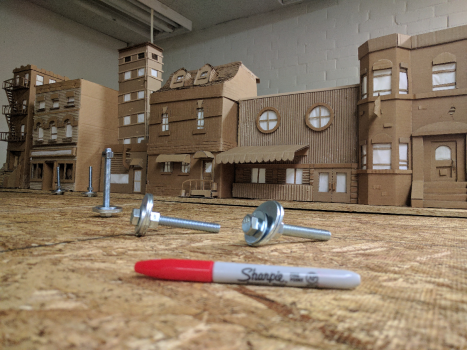 My goal was to create a short explainer video that would explain the concept to customers and investors equally as well as to local governments handling city hauling contracts. The fun, handmade cardboard aesthetic was meant to keep the brand close to the image of its industry, while keeping it approachable — critically important for this small company that relies as much on handshakes as clickthroughs. As an animator, and particularly as a director, I love animatics. There's no better way to make sure a client is clear about your plan than to show it to them. And as an artist, the more time you can contribute to the pre-production and planning process, the stronger your project becomes and the smoother it goes. This one was drawn by me, as this was a smaller project and I had a clear idea of where we were going. 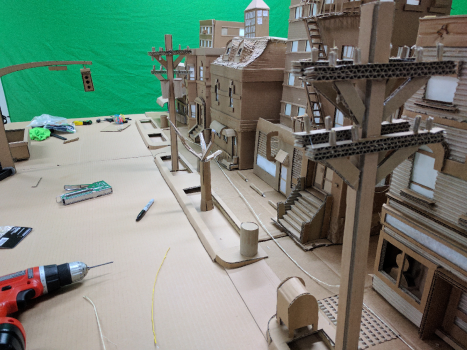 Sets for the project were all hand made from cardboard, hot glue, and twine. 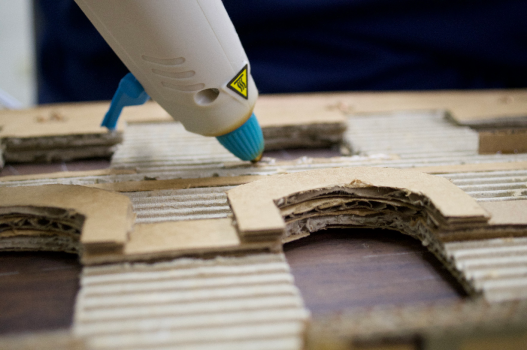 Even digital props were first fashioned out of cardboard, then taken apart, unfolded, and scanned so they could be modeled and textured accurately in Modo. 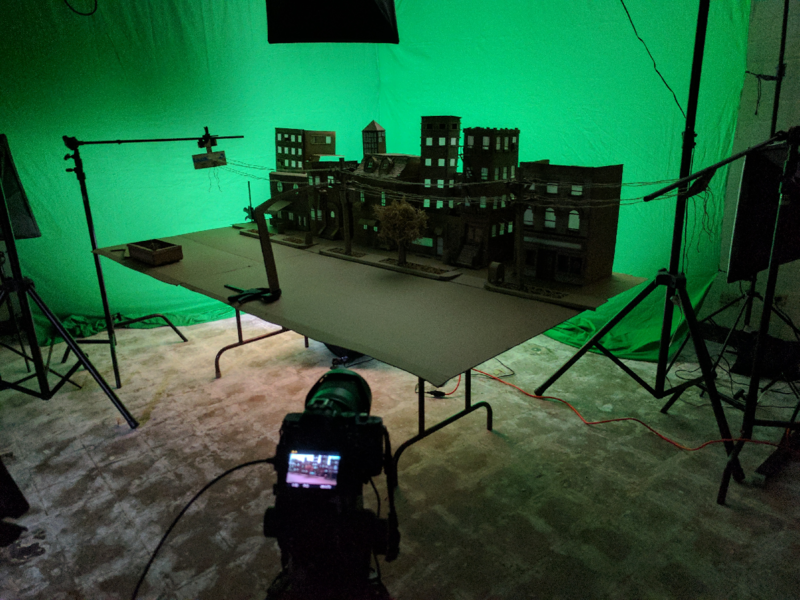 Stills were used for most of the background plates, but color changing lights were synced with lights on a jib to simulate a sunrise in the opening shot. 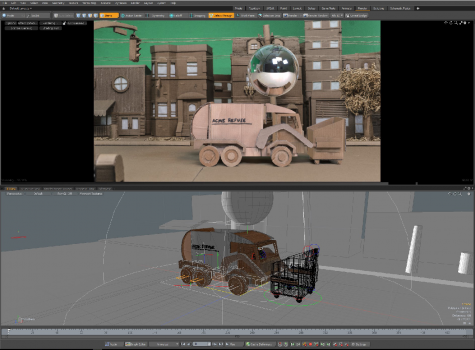 Modo was used to model and texture the character, truck and dumpster. This was a great chance to use my Ricoh Theta to shoot HDR photospheres, which were brought in to accurately light the CG elements. 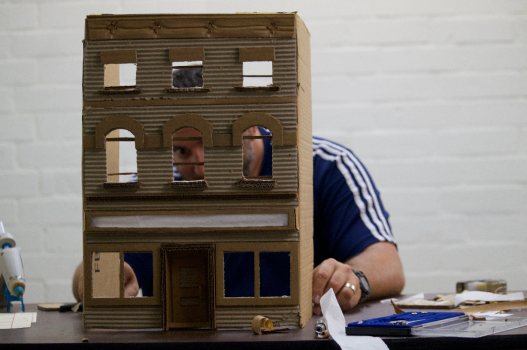 After Effects was brought in for the compositing and motion graphics. Since Modo was handling modeling and rendering, I decided to keep the rigging and animation in Modo as well, to avoid the Maya roundtrip for just a few shots of animation. The animation was also an integral part of the storytelling. The garbage truck is wild in the first shot, before our stickman everyman discovers Wasted, then calm and relaxed in the later shot when all is well.